Dealing with Emotional Problems offers clear, practical advice on how to deal with some of the most common emotional difficulties. 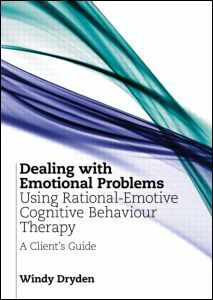 Rational-Emotive Cognitive Behaviour Therapy (RECBT) is a technique that encourages a direct focus on emotional problems, helping you to understand the thoughts, beliefs and behaviours that cause you to maintain these problems. This understanding will enable you to overcome problems and lead a happier and more fulfilling life.